The Howell Area Chamber of Commerce Board of Directors at its June 24 meeting endorsed Michigan’s Proposal 1, which would eliminate the long-controversial Personal Property Tax that penalizes businesses willing to expand and invest in new equipment. The chamber joins Michigan Citizens for Strong & Safe Communities, the Michigan Sheriffs’ Association, Michigan AARP, Michigan Municipal League, Michigan Chamber of Commerce, Fraternal Order of Police, the Michigan Association of School Boards, Michigan Farm Bureau, the Grand Rapids Area Chamber of Commerce, Ann Arbor/Ypsilanti Regional Chamber of Commerce, Michigan Business & Professional Association, the City of Howell, The Detroit News and the Livingston County Daily Press & Argus in endorsing the proposal. Proposal 1 also restores full funding to Michigan’s school districts and municipalities without raising taxes on anyone. It does this by eliminating corporate tax breaks and the addition of a new Essential Services Assessment (ESA) on large manufacturers. While the ESA sounds like an increase on manufacturers, it will be an 80 percent reduction in what these businesses are paying under the current Personal Property Tax system. “It’s a good deal for everyone,” said Pat Convery, president of the Howell Area Chamber of Commerce. Imagine paying a tax on a piece of equipment you bought in the 1950s every single year. Business equipment is assessed a taxable value and the owner pays a tax based on the local millage rate. In addition to the sales tax paid at the time of purchase, small businesses pay the additional personal property taxes on that equipment every single year, just for owning it. The tax never goes away, no matter how old the equipment is. A YES vote on Proposal 1 eliminates this double-tax. Proposal 1 also helps Michigan’s local units of government. The Personal Property Tax has never been a stable source of revenue for local services. “A major employer could leave a municipality grappling to fill the hole created by the loss of its personal property tax,” Convery said. In Michigan currently, a use tax is levied on a wide variety of things, including the sales of boats and off-road vehicles, and all that money goes to the state. Proposal 1 takes that revenue and splits it into two parts. The first is the community stabilization share, which goes directly to municipalities to offset PPT losses. A new agency, the Local Community Stabilization Authority, would oversee distribution of funds. Schools districts, which already receive use-tax funding, will see their share increase if Proposal 1 passes. 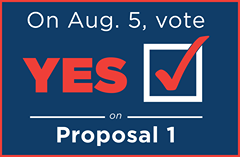 Proposal 1 is the only state-wide issue on the Tuesday, Aug. 5, primary ballot. Polls are open 7 a.m. to 8 p.m. that day. 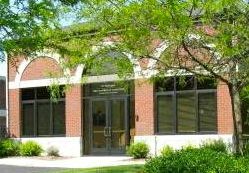 The Howell Area Chamber of Commerce urges a YES vote on Proposal 1.